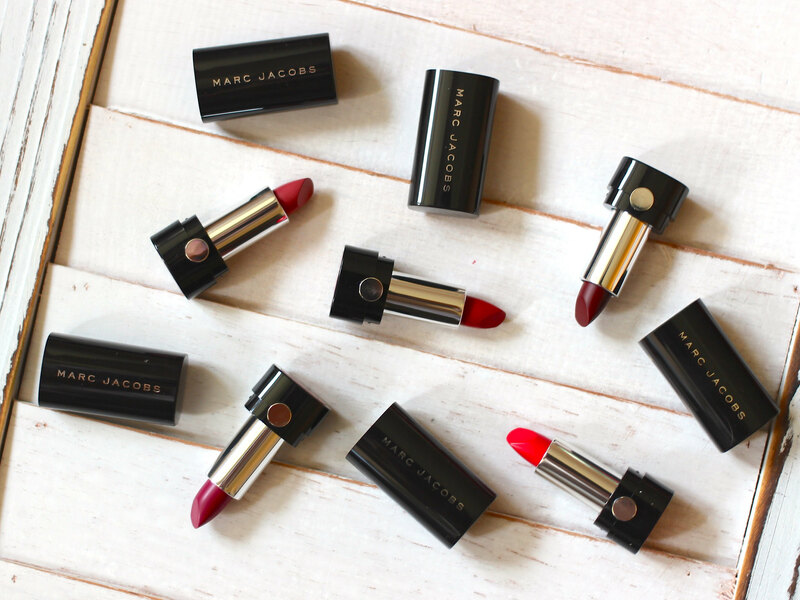 Of all of the holiday releases coming out, the Sofia 5 Piece Petites Le Marc Lip Crème Collection (pssst...work on your brevity, MJ) was one of the most tempting to me. 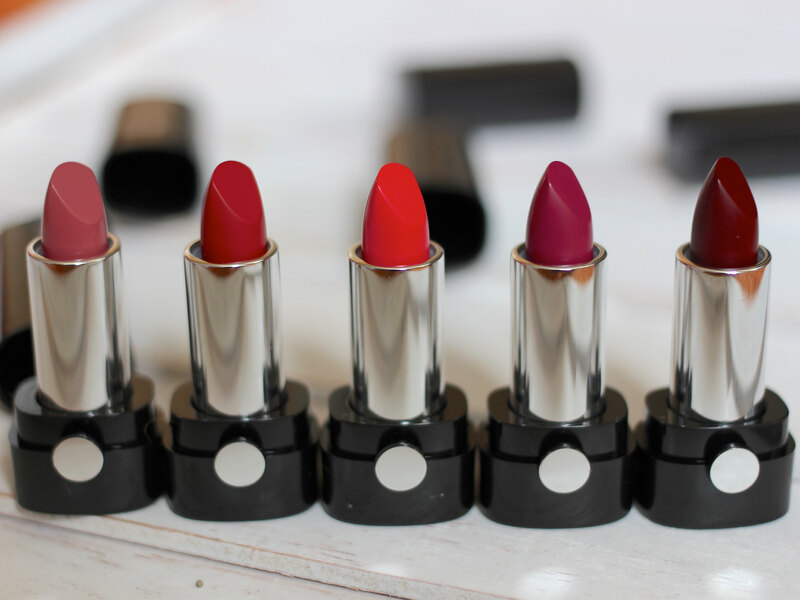 I love the quality of the Le Marc Lip Crème lipsticks (see here and here for previous reviews) and mini sets like these are fantastic ways to try out a multitude of shades. 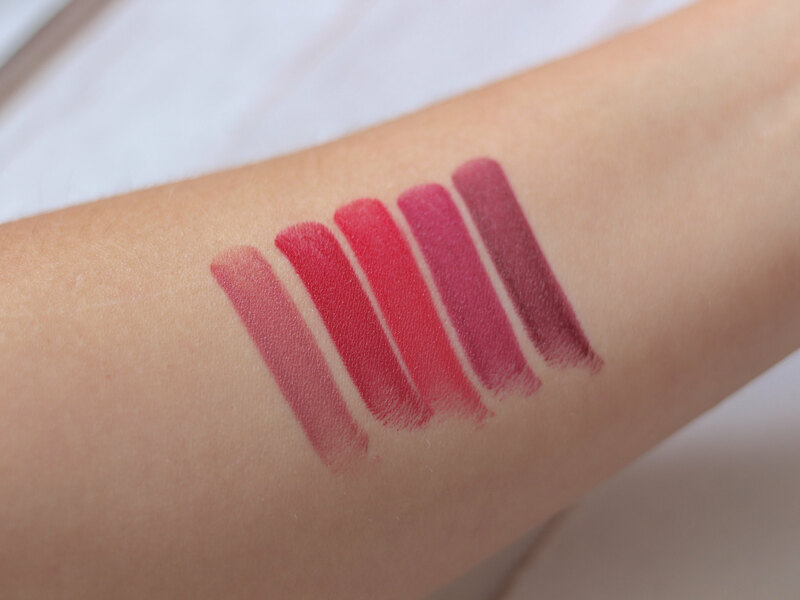 Apart from So Sofia, which to me is more of a shade I would wear in the spring/summer, the collection offers a range of colours perfect for the autumn season. I already know that I adore Infamous, but I suspect that Boy Gorgeous will be another fast favourite. 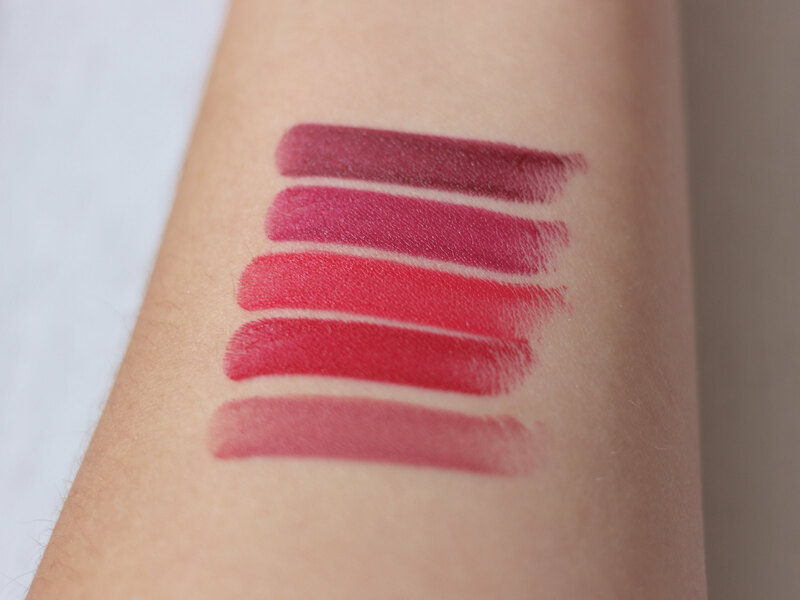 I'm a big fan of the formula of the Le Marc Lip Crèmes—they are incredibly pigmented and comfortable to wear on the lips. And while I suspect that there is no lipstick on the planet that actually moisturizes the lips, these certainly feel like they do. Due to the delay in getting this review up, it appears that the Sofia Lip Crème Collection is sold out on both Sephora.com and MarcJacobsBeauty.com, but if you can find it in stores, it would make a fantastic gift for any lipstick lover in your life. As with most Marc Jacobs Beauty products, the packaging of these is top notch. 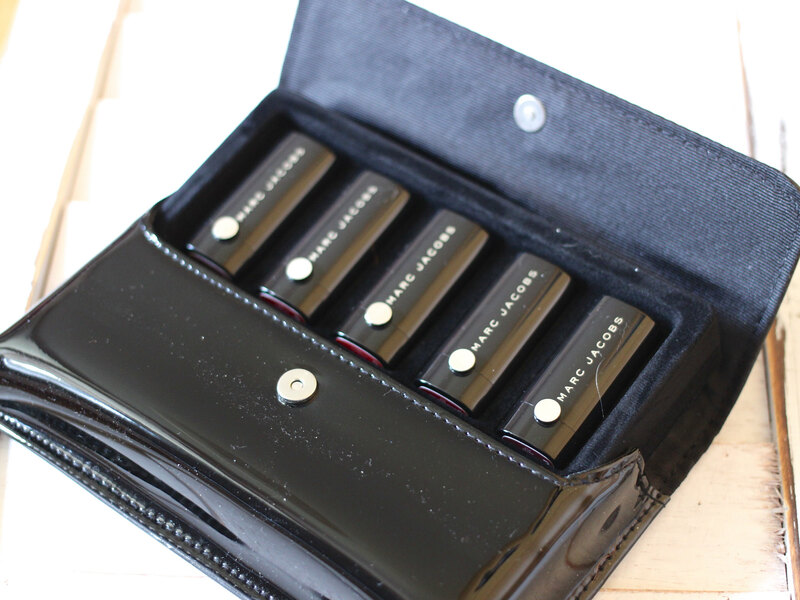 The five mini lipsticks come housed in a chic black patent clutch. Each of the mini lipsticks in The Sofia contains 0.05oz of lipstick, which is slightly less than half of the 0.12oz contained in a full size lipstick. 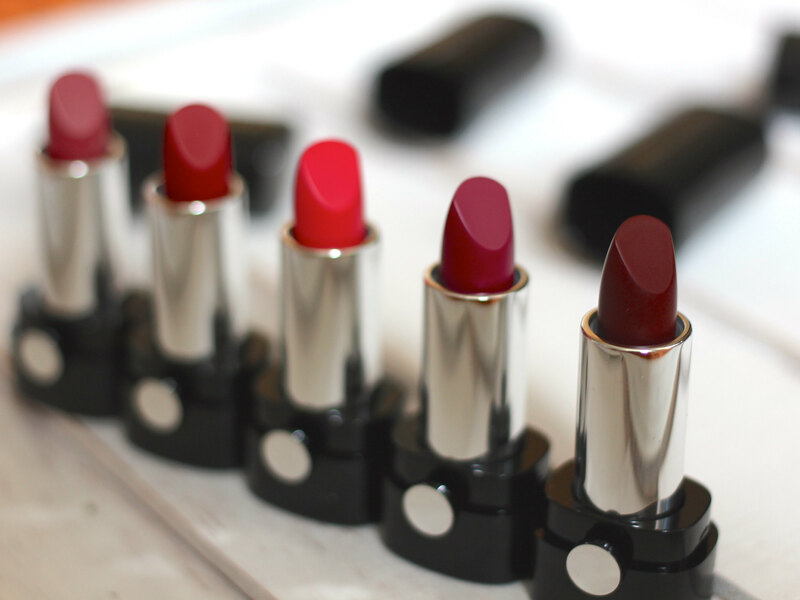 This makes the $45 pricetag a good deal, as a full size lipstick is $30. 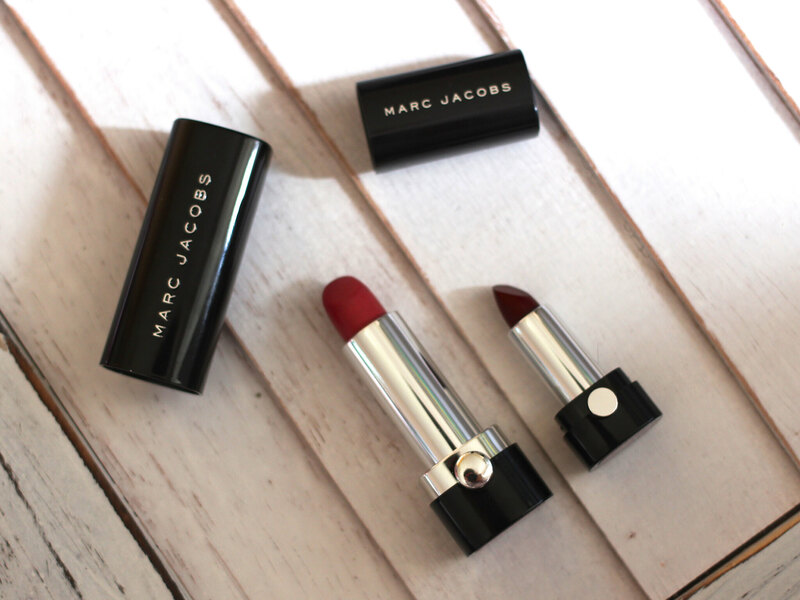 I recommend you pick up this set if you can find it, if you fall into one of the following categories: A) you know you like the Le Marc Lip Crèmes; or B) you have wanted to try out the Le Marc Lip Crèmes. Did you pick up this collection? What other holiday releases do you have your eye on? Let me know below!